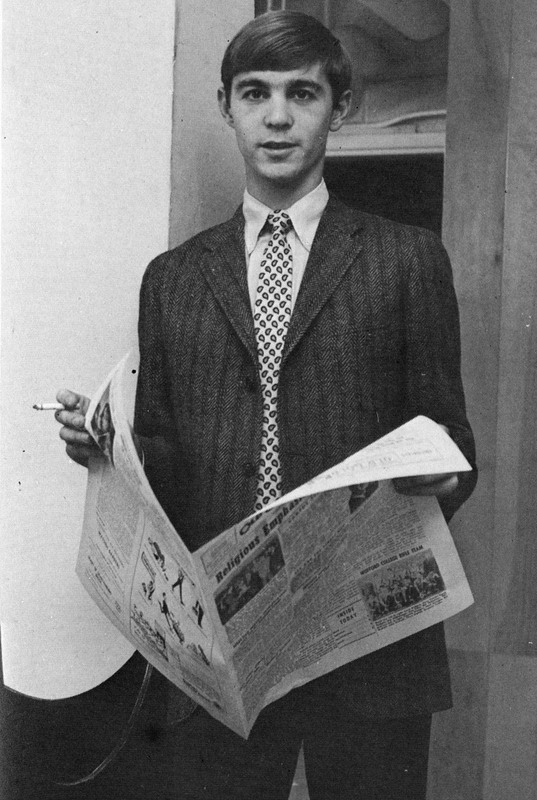 This Wofford College student (c. 1966), an entertainment editor for the campus Old Gold and Black newspaper, exemplifies the way most of his classmates dressed at a time when the country was drifting away from anything that resembled tradition. He is wearing a 3-button tweed, herringbone pattern sport coat over a pressed button down shirt and paisley print tie. The sport coat appears to be a natural shoulder model. 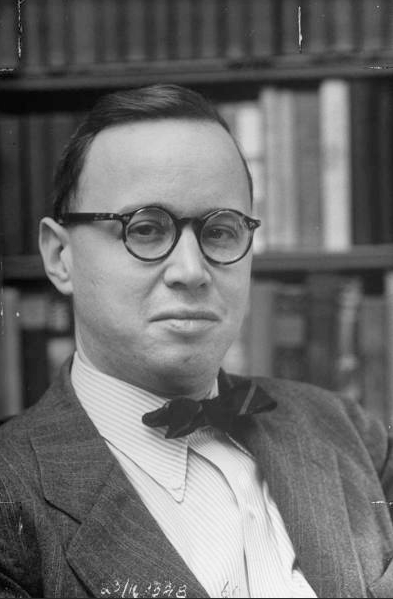 The student is holding a copy of the Old Gold and Black and has a lit cigarette resting between his fingers. 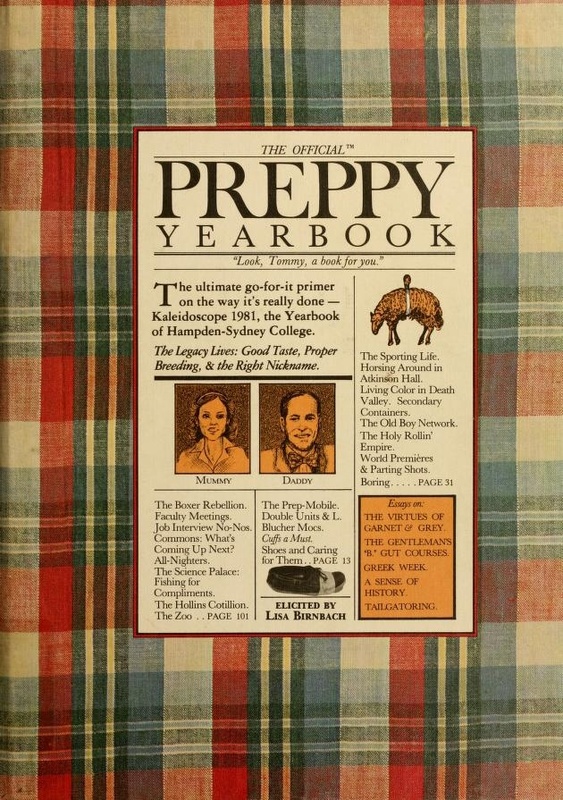 My alma mater, Wofford College, was a bastion of natural fibers long before The Official Preppy Handbook was published. 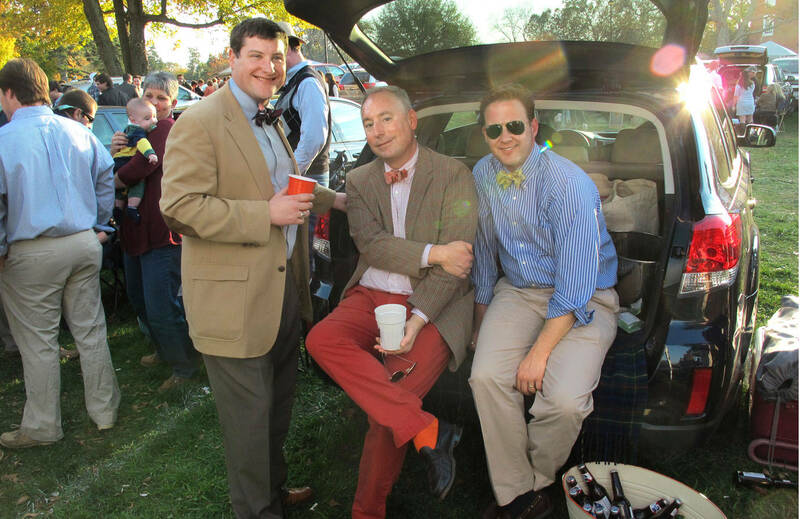 Fraternity men there had worn heathery, crew neck shetland wool sweaters with their cotton button downs and khakis for generations. They also had a tradition of wearing blue blazers and ties to football games, though the days of the freshman beanie were long gone. 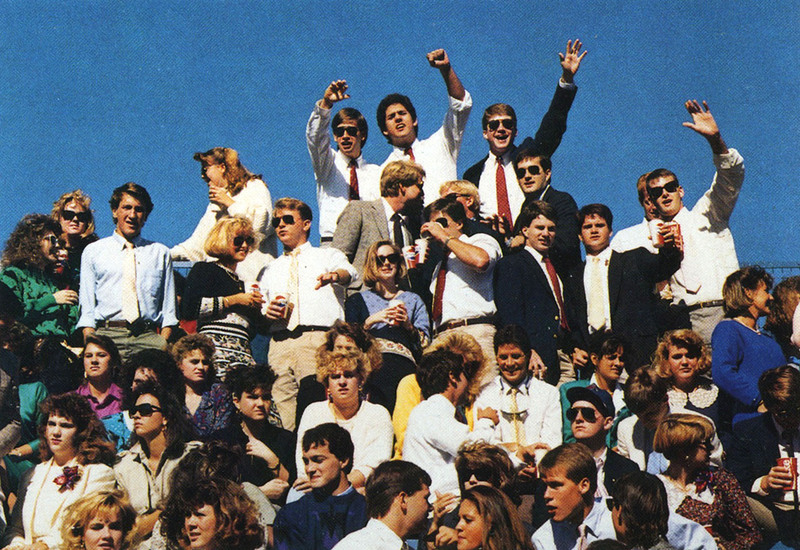 This photograph of Kappa Alpha fraternity brothers with their dates, most of whom attended nearby Converse College (often referred to as “The Convent” because of its strict visitation rules), appeared in the 1988 Bohemian yearbook. This moment in the stands during a game captures the look of that era. I was a member of the Pi Kappa Alpha Fraternity (Nu Chapter). 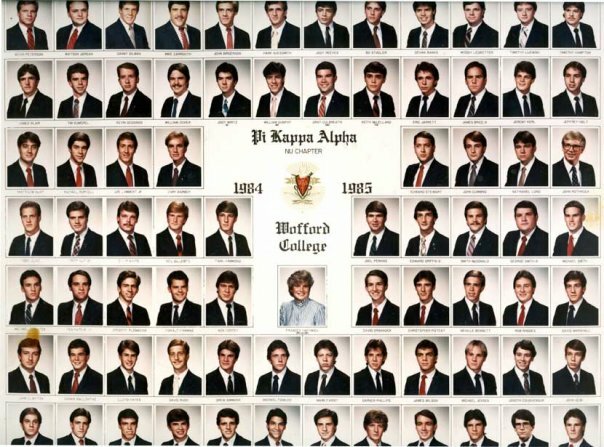 This is the fraternity composite from the spring of 1985. 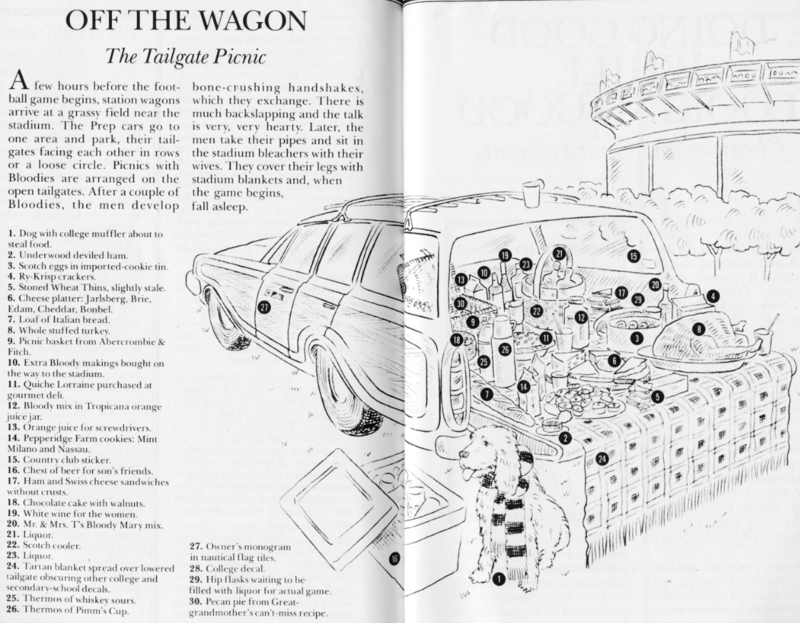 A large framed and matted version of this print was hung on a wall in the Pike house. 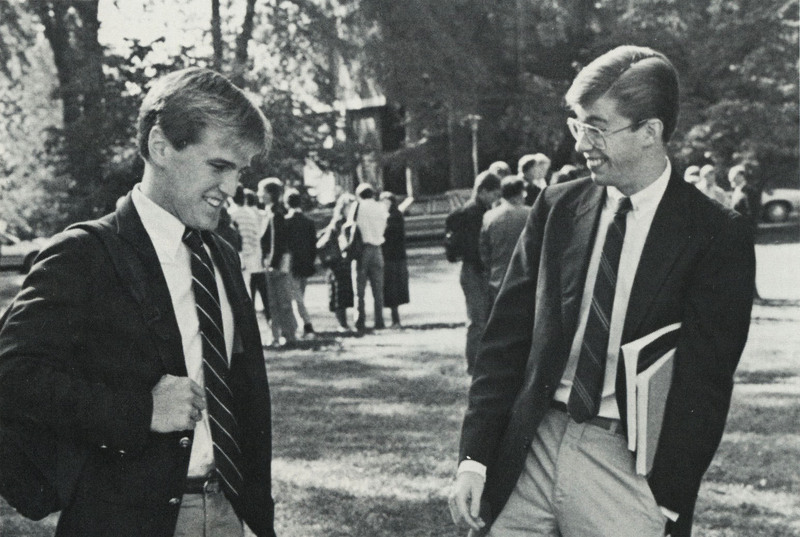 During rush, my fraternity brothers at Wofford did not behave like Doug Neidermeyer and Greg Marmalard of Omega at Faber College. But the Pikes did behave a lot like the Deltas when throwing a toga party. Yes, we actually had those, and we did gator! 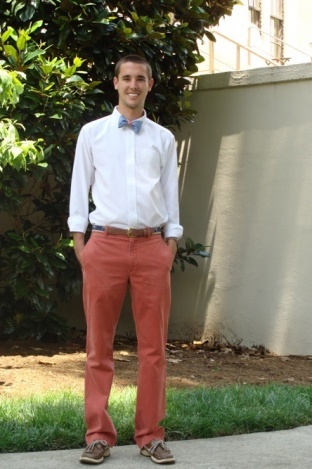 College Fashionista recently posted this image of a current Wofford student wearing Nantucket Reds, a motif belt (ribbon with South Carolina palmetto and crescent over webbed cotton backing), a white button down with Vineyard Vines bow tie – also with palmetto and crescent – and a pair of Sperry Topsiders. 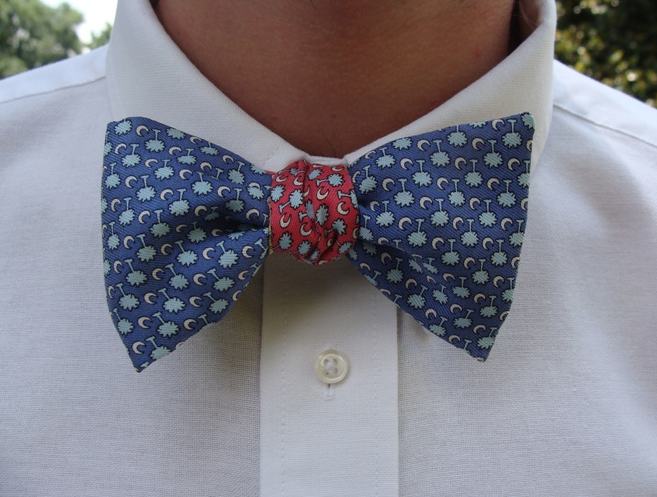 Is Wofford still preppy? 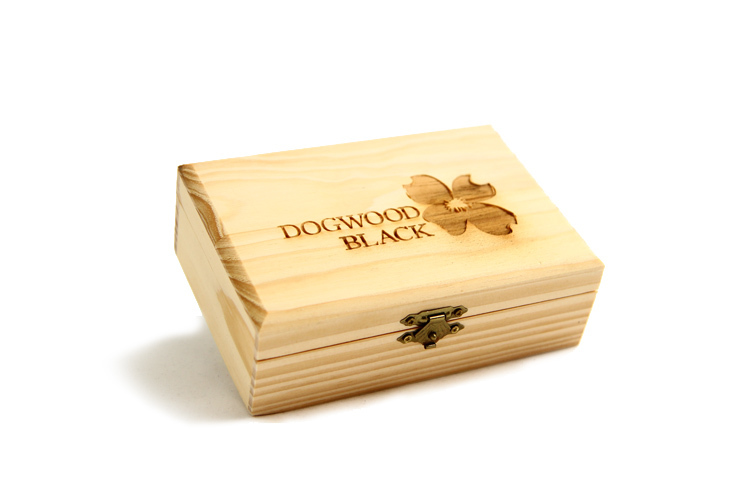 You bet your plaid cotton boxer shorts! However, the school is much more diverse today, which is a great thing, and the student body is about 1/3 larger than when I was there. Total enrollment is just over 1,600, and 40% of them belong to a fraternity or sorority. 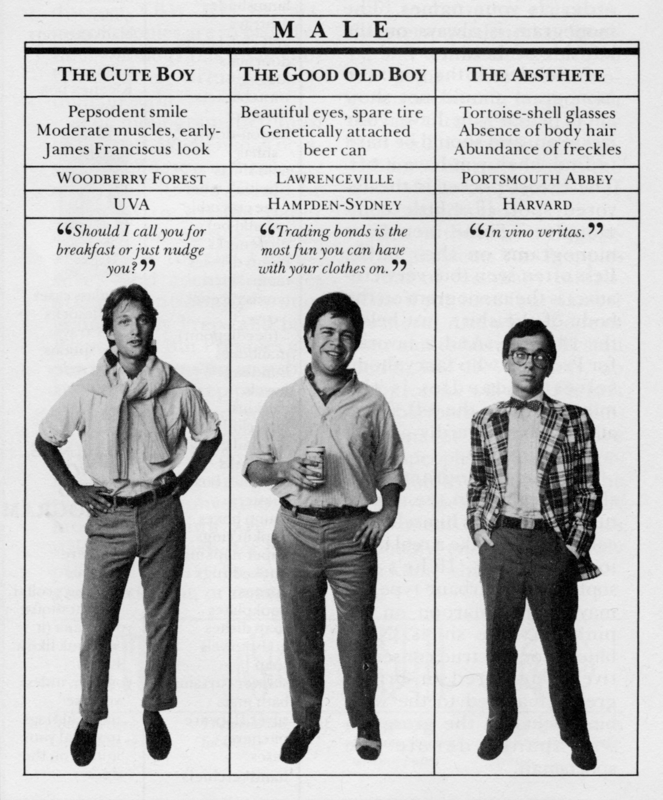 In the 80s, although we did wear jeans and sweatshirts to class from time to time, khakis and button downs or Lacoste shirts were more the norm. Blue blazers and ties were added for campus events, interviews and, as already mentioned, football games. 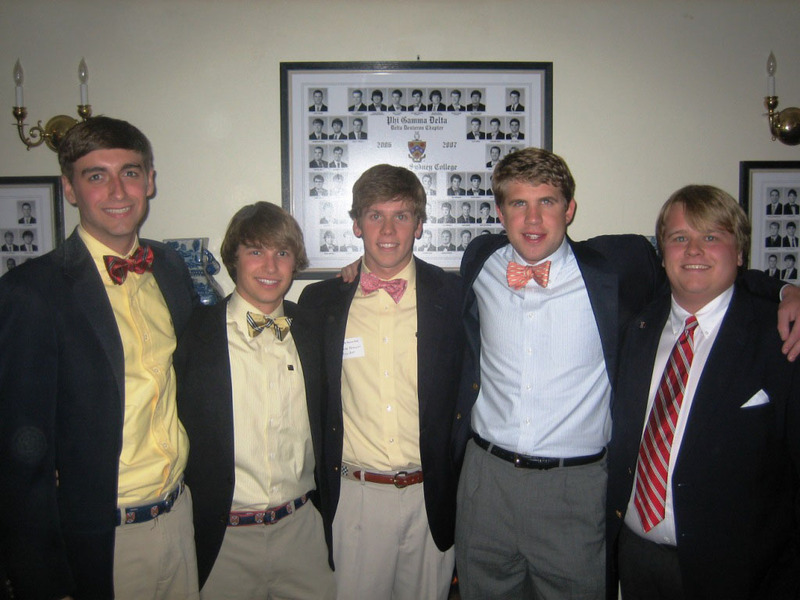 Even students who did not pledge a fraternity wore the uniform. 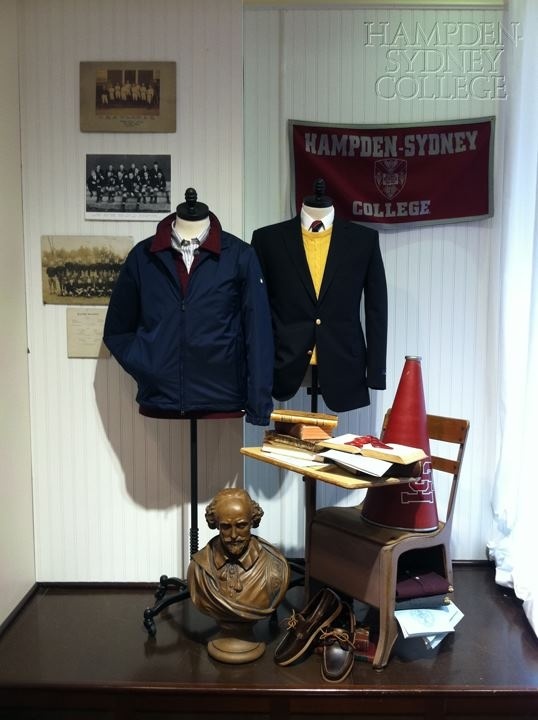 Note the college seal buttons on the student’s blazer to the left (see detail shot). Forbes magazine ranked Wofford among the top 120 colleges and universities in the country – 119th overall and the highest-ranked South Carolina institution – in the sixth annual rankings of “America’s Top Colleges” in 2013. 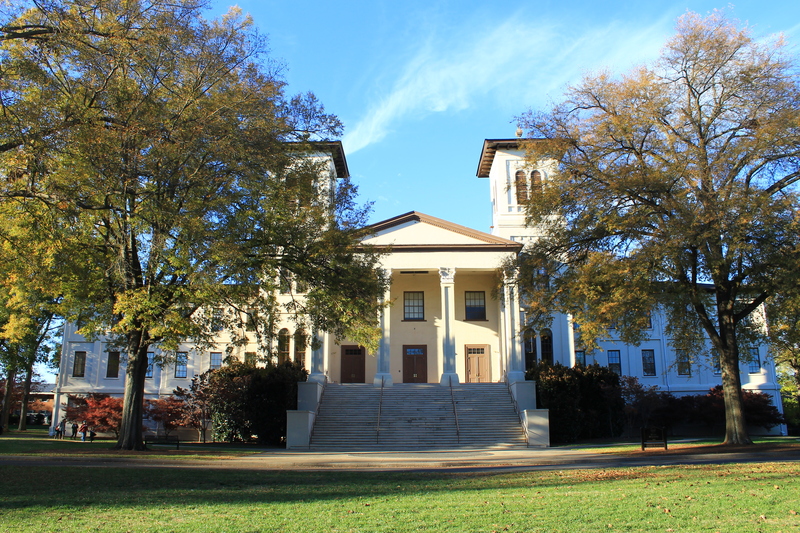 Wofford was ranked 20th among the Best Colleges in the South and 89th among the Best Private Colleges. (July 2013) In 2010, Forbes ranked Wofford 14th among all the nation’s colleges and universities for women desiring to study science, technology, engineering and mathematics (STEM). 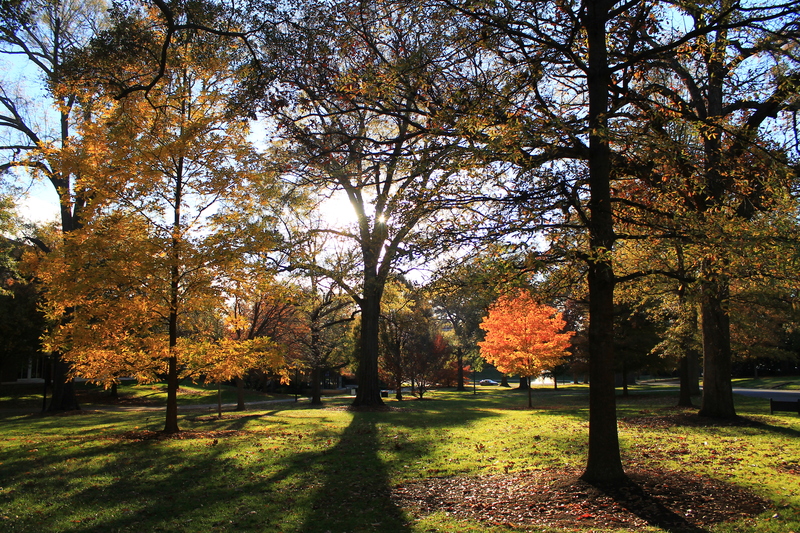 Wofford’s 170 acre tree-lined campus has been designated as an arboretum. On a sunny autumn afternoon, while the leaves are changing color, it is an especially beautiful place to be. 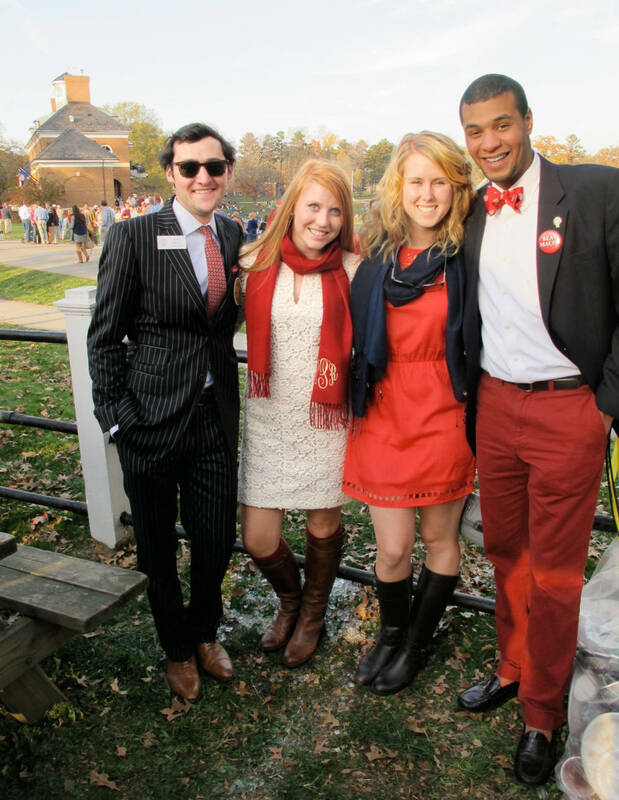 In 2011, I published my first list of the top preppy colleges in the South. It was limited to 10 colleges, and it was difficult to make decisions on which to include. It was an entirely subjective process. Most decisions were based on my experiences of the respective campuses considered. I also spent time talking to current students and recent graduates to get their perspective. For this year’s list, I’ve decided to expand the number to 20. I use the term colleges, but I’m including both colleges and universities. So the range is extensive. 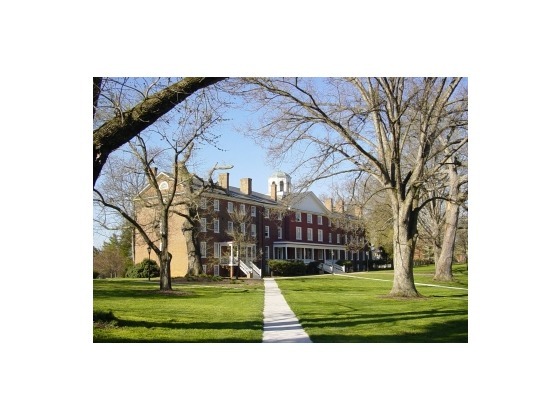 Most of the schools listed this year are relatively small, private liberal arts institutions. 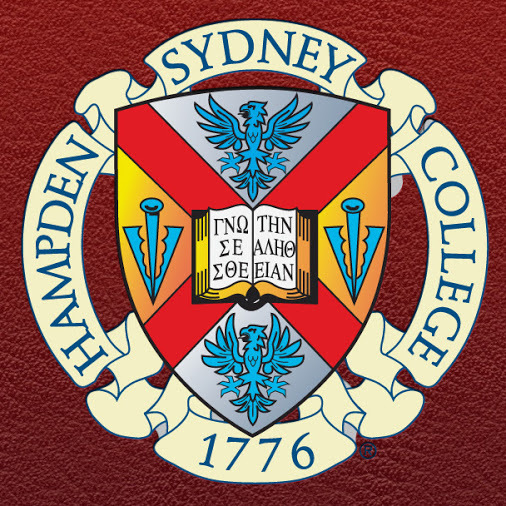 Hampden-Sydney College keeps its #1 ranking again — as the most preppy college in the South – while Washington and Lee University moves up to the #2 ranking to challenge. The state of Virginia has the most schools listed (8), followed by North and South Carolina (4 each), Tennessee (2), Mississippi (1) and Alabama (1). Is there a bias? Probably. Am I open to suggestions and revisions? Definitely! Let me know which schools you think should make the list, or which ones should be excluded. 19. 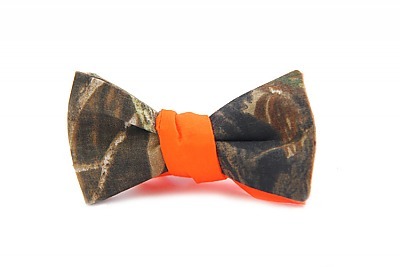 University of Alabama, Tuscalosa, AL. 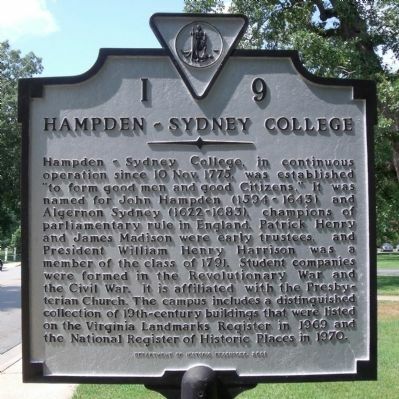 (Founded 1831). 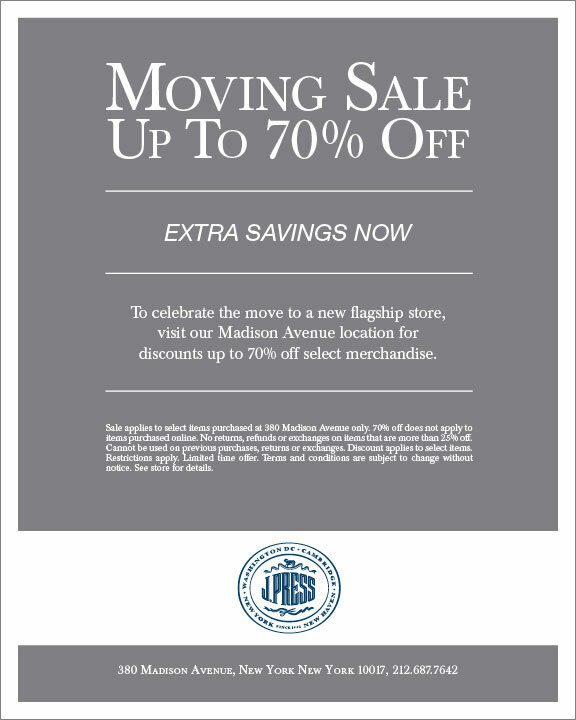 Of note to all bargain hunters: while not quite as satisfying as a good thrift find, you can get 70% off selected merchandise at J. Press in honor of their move to a new New York City flagship store. This is good if you live in the city, or within a reasonable drive, as items cannot be purchased online. Having left NYC last year, I regret that I can’t explore what’s available in the sale. The J. Press store was on the same block as my wife’s office. I passed by there just about every day on the way to Grand Central. 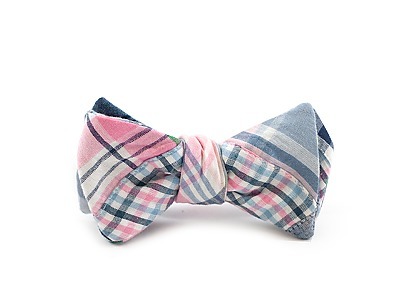 One of the most practical and usable accessories to have in the wardrobe is a grosgrain ribbon watch band. These three from J. Press are the ones that I use most often. Top to bottom: red and navy stripe, blue white and red stripe (reversible to a red,white and navy side) and a solid light blue band. 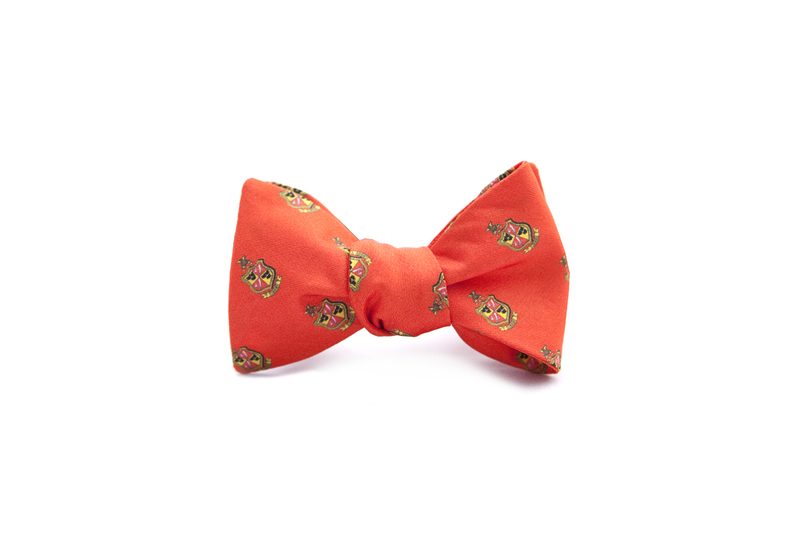 The latter actually gets the most wear, as it will go with almost any clothing combination. J. 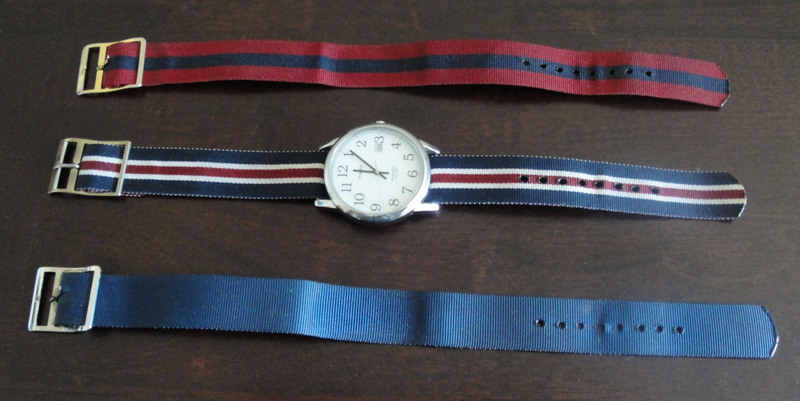 Press grosgrain watch bands retail for $18.00 to $29.00, but they currently have a 40% off sale. As much as I’d like to find these in a thrift store, it’s nearly impossible. So I wait for a good sale to buy the ones I want at a discount. Maybe it’s a lot of fuss over what will support a very cheap Timex with a visibly scratched face, but I’m just quirky that way. 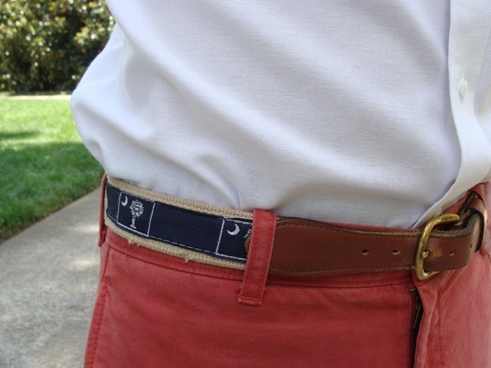 For more about the place of grosgrain ribbon watch bands in preppy culture (and their recent resurgence in men’s fashion), check out Ivy Style.